Employee Health: How Much Does High Blood Pressure Cost Your Company? Ever stop by your favorite coffee shop on the way to work? It’s easy. It’s convenient. A lot of people do it. You drop $2 to $4 on a coffee, gulp it down, and get on with your day. Maybe you spend a few more bucks on a muffin or pastry, and treat a co-worker to coffee, too. And then one day you crunch the numbers, and realize your coffee habit costs thousands of dollars a year. It's a lot like the cost to treat high blood pressure. An estimated 1 out of 2 adults has high blood pressure, based on guidelines established by the American Heart Association and the American College of Cardiology. And it costs an estimated $46 billion a year to treat it, according to recent data published in the journal Circulation. How much of your employee health costs are linked to controlling blood pressure? For someone with Stage 1, Stage 2, or Hypertensive Crisis blood pressure, the new guidelines recommend more frequent doctor’s visits, and even hospitalization or continuous monitoring. If half your population has elevated or higher blood pressure, the direct costs of medication and treatment can get expensive. But there’s other costs you’ll have to absorb based on poor employee health like absenteeism and lost productivity. How much of that $46 billion medical bill to treat blood pressure is your organization paying to manage employee health? If you manage a large workforce, you may be spending millions of dollars a year to treat elevated or higher blood pressure. It’s treatable and preventable. But if you don’t do anything about it, your costs will keep going up while employee health gets worse. What’s the true cost of elevated blood pressure for your organization? It’s a lot more than a cup of coffee a day. 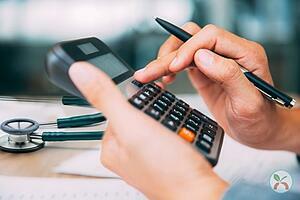 Check out this infographic and use the calculator to estimate your costs.